Being single is not a sickness, it is a time for self-development, a time to build careers without interruption, a time to know oneself, a time to identify IDENTITY CRISIS!! ME: What sort of pressure is this? Not anytime soon, lol. FRIEND: You mean like next year December right? ME: It's not possible. I no dey rush go marry ( I am not in a haste to get married). Let me enjoy and maximize this single phase. What does this mean? Society directly or indirectly pressures young ladies into getting married. A lot of ladies have made marriage their ultimate goal in life(they may not realize it.) Have you seen the level of desperation just to get the ring? It's really on the high. Please note that I am not against marriage, I believe love is a beautiful thing especially when it is with the right person. In short, I love love💓. But I feel some things need to be addressed and talked about. Where are my ladies at? I know you wish you could snap out of your single stage. Every one of your friends is getting married and you are concerned that no one is giving you a wink, lol. Your relationship is nothing to write home about and you are pondering whether to call it to quit and confront the single market again or stick in there and live in the daydream that an unserious partner is superior to being single. It's alright to want to be married yet please while you wait, don't miss the open doors your single life bears you. This is the part that gets me so pestered in light of the fact that I see numerous youngsters particularly ladies who put their lives on hold while waiting. The single stage is one season that many go through in so much hurry to get to the wedded stage. Keep in mind that each human life accompanies seasons and every season accompanies its very own magnificence. Each period of life contracts from people to people. Please don't put your life on hold while sitting tight for one period of your life to pass by. If you are single and confiding in God for a spouse, its no explanation for your life to be on a halt. Augment all of your life. What are your goals and aspiration? What are you doing about them? 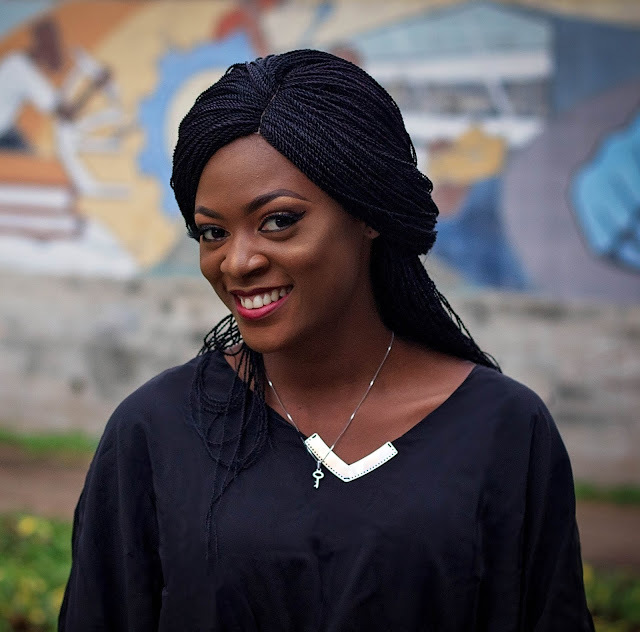 Some may have gotten married early, others may, in any case, be sitting tight for a partner to sweep them off their feet, whichever way, grasping your interesting season has nothing to do with the age at which you get married in opposition to what the general public spells out. It needs to do with grasping and boosting all of your life even admit all the depression, bitterness, and disappointment. It torments me when I see young ladies who are supposed to be seeking after their education surrender it in view of marriage. It torments me when I see a young lady whose only stress in life is the way to get a man to marry or how to get married before her friends. It torments me when I see the number of single ladies lives spinning around getting a man to marry them. It astounds and maddens me when I see ladies enduring a wide range of maltreatment and lack of regard just so they can keep their 'Mrs' title. Be that as it may, it would be ideal if you would be able to quit humiliating yourselves and tone down on the franticness and hustle to get married. If I'm not mistaken, there are still a greater number of men on the planet than ladies, so it's not like men are going into extinction. Quit disrespecting yourselves wherever or whenever marriage is specified. Have different objectives throughout everyday life, finish your training/ education, make something unique out of yourself, develop your business or career, have different dreams and seek after them. We can be a great deal more in the general public dearies if just we figure out how to set our needs right. Give marriage a chance to be what tops off an already good thing, not the be all end of our lives. Have some confidence dear women. How about we be more astute women, we should value our value and appreciate life more. We should begin by putting more incentive on ourselves. Enjoy your single life. There is so much to learn, so much to explore. 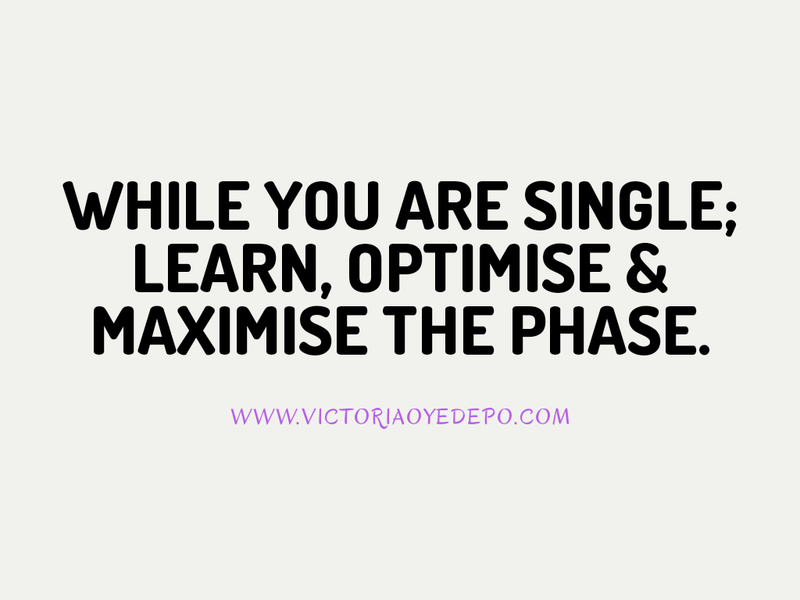 While you are single, LEARN, OPTIMISE, MAXIMISE the phase. We too are looking forward to maximizing our potentials for it is necessary, even though the pressure is high😂😂😂😂. Like someone you and I know would say😂😂😂😂😂, "You have to explore the elastic edge, the endless possibilities of our singlehood" (god of stylistics😂😂😂😂). Wonderful piece, there are more ladies than men though.